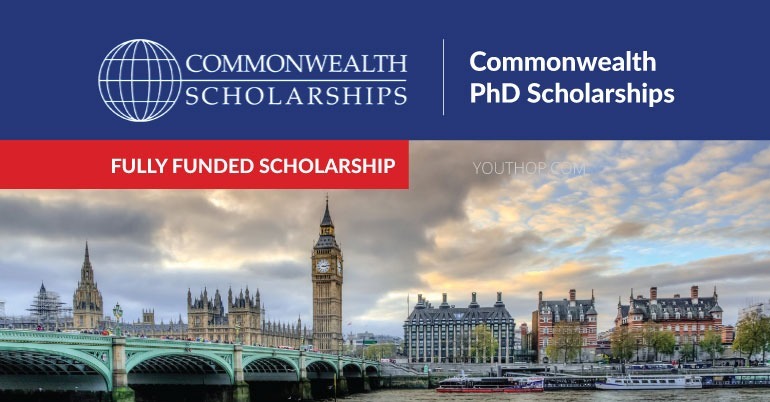 Commonwealth is accepting applications for Commonwealth PhD Scholarships 2019 in UK. Commonwealth PhD Scholarships are for candidates from low and middle-income Commonwealth countries, for full-time PhD study at a UK university. The Commonwealth is a voluntary association of 53 independent and equal sovereign states. The Commonwealth is home to 2.4 billion people and includes both advanced economies and developing countries. Thirty-one of our members are small states, many of which are island nations. Their shared values and principles are inscribed in the Commonwealth Charter Member countries are supported by a network of more than 80 intergovernmental, civil society, cultural and professional organizations. The Department for International Development (DFID) was set up in 1997. DFID leads the UK’s work to end extreme poverty. They are tackling the global challenges of their time including poverty and disease, mass migration, insecurity, and conflict. Their work is building a safer, healthier, more prosperous world for people in developing countries and in the UK too. They work in countries across Africa, Asia, and the Middle East, many of which are fragile or at risk from fragile neighbours. They also have regional programmes in Africa, Asia and the Caribbean, and development relationships with 3 aid dependent Overseas Territories – St Helena, the Pitcairn Islands and Montserrat. In addition to working directly in countries, DFID also gives UK Aid through multi-country global programmes and core contributions to multilaterals. Supporting statement from a proposed supervisor in the UK from at least one of the institutions named on your application form – submitted directly by your proposed supervisor to the online application system (supervisors will be sent an email request). The CSC will not accept supporting documentation submitted by nominating agencies or outside the online application system. Supporting documentation uploaded to the online application system must be uploaded as files which are no more than 5 MB in size and must be in one of the following formats: PDF, .doc, .docx, .odt, .jpg, .jpeg . Files submitted in any other format (including Zip files and PDF Portfolios) will NOT be accepted.